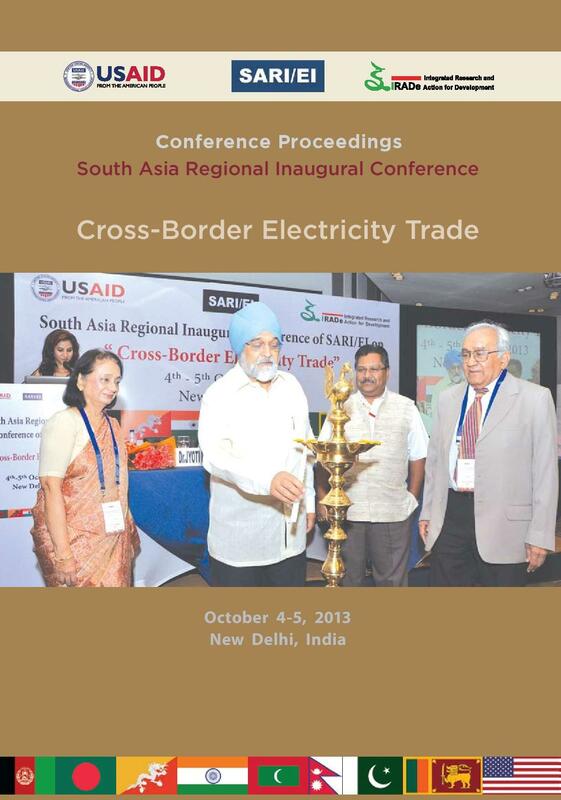 Conference Proceedings on The South Asia Regional Inaugural Conference of SARI/EI on ’Cross-Border Electricity Trade’: The conference was held from October 4th-5th, 2013 in New Delhi, India. The confer ence launched the SARI/EI program to gain acceptance for its goals among the South Asian Countries, identify potential steps towards integration of power systems in South Asia, initiate a concrete and constructive discussion on the vision and road map for the South Asian Electricity Market, discuss on the role and strategic engagement of private sector in CBET and deliberate on international best practices as far as regional power markets are concerned. Click here to download the proceeding.